EVIL COMES IN all sorts of flavors. Some bitter. Some deceptively sweet. That’s what Katelyn discovers on the day she dies. One minute she’s a depressed teen with a loser life. The next, she’s lying on a stainless steel slab, eyes glassy, skin frosted over, and very, very dead. Was it: SUICIDE? MURDER? WHO’S TO BLAME? Twins Hayley and Taylor Ryan stumble upon the truth, which is far more disturbing than they could have ever imagined . . . and which sheds light on another secret, a hidden past even they don’t know about. 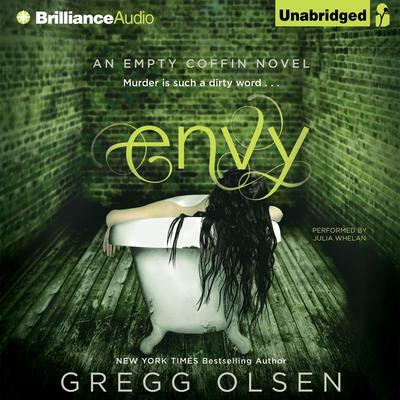 Inspired by a ripped-from-the-headlines true crime about cyberbullying, Envy is the gritty first volume in a new bone-chilling series that takes you to the edge — and pushes you right over.